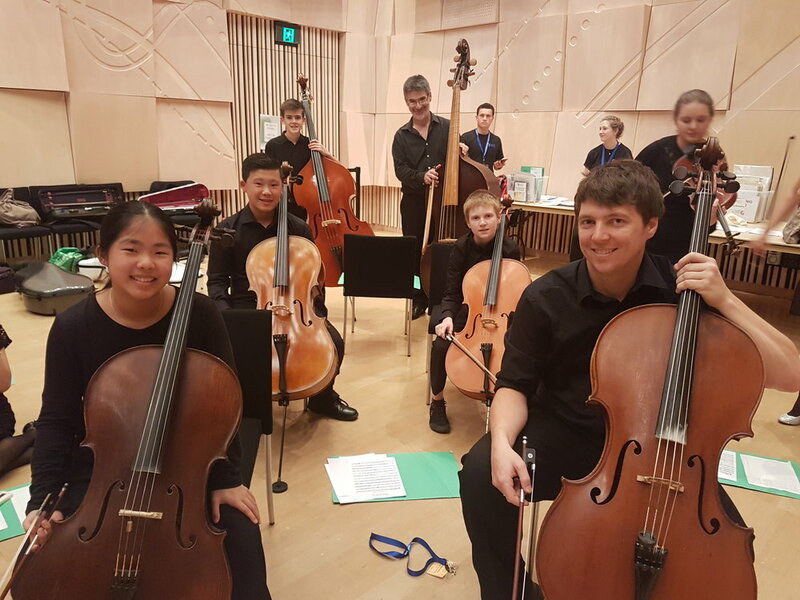 From the 8th-13th January 2018, the Australian Romantic & Classical Orchestra collaborated with Melbourne Youth Orchestras to present the Young Mannheim Symphonists as part of the prestigious MYO Summer School. The final concert was held at the Melbourne Recital Centre, and featured movements from MOZART’s Symphony No.40 in G minor, HAYDN’s Symphony No. 80 in D minor, REICHA’s Parthia in F Major for winds and the STAMITZ Sinfonia a Quattro in A Major for strings. It was an extraordinary week. Students engaged with intensive rehearsals and tutorials, learning to play on gut strings and trying out some period wind and brass instruments. They played alongside professional musicians, absorbing dynamic and creative ensemble skills. They also attended workshops to hear about Classical style, period instruments, and why we use historical sources. The concert was inspiring: the students played on modern instruments, but they used their new-found knowledge of articulation, colour, and style to unveil all the passion and sensitivity which was hiding in the music. The wind ensemble was able to master Reicha’s Parthia in F Major so well that they made a recording and uploaded it to YouTube so that others can get an idea of how style-appropriate playing can change the music. The orchestra was directed by Australian Romantic & Classical Orchestra’s concertmaster, internationally renowned Australian violinist, director and concertmaster, Rachael Beesley. The winds were directed by principal clarinettist Nicole van Bruggen. Tutors were drawn from the ARCO family, and included Rob Nairn (Double Bass), Katie Yap (Viola), Paul Zabrowarny (Violoncello), Roman Ponomariov (Horn), and Megan Lang (Flute). “And a hugely exciting and rewarding experience for some of Australia’s most promising young musicians!” Nicole van Bruggen.